Food grade N2 supply kit for Homebrew or coffee. 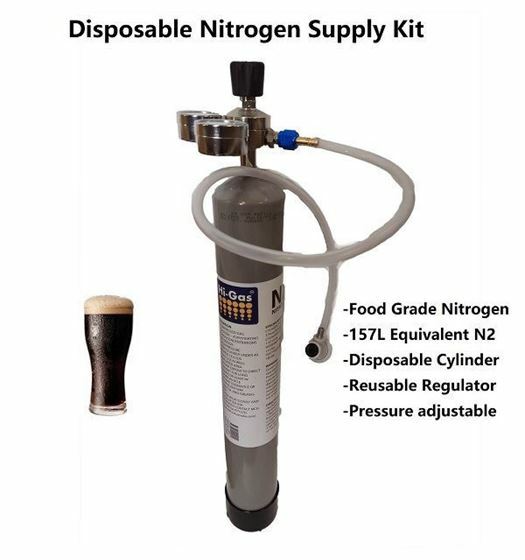 This is food grade Nitrogen supply kit for homebrew or coffee. 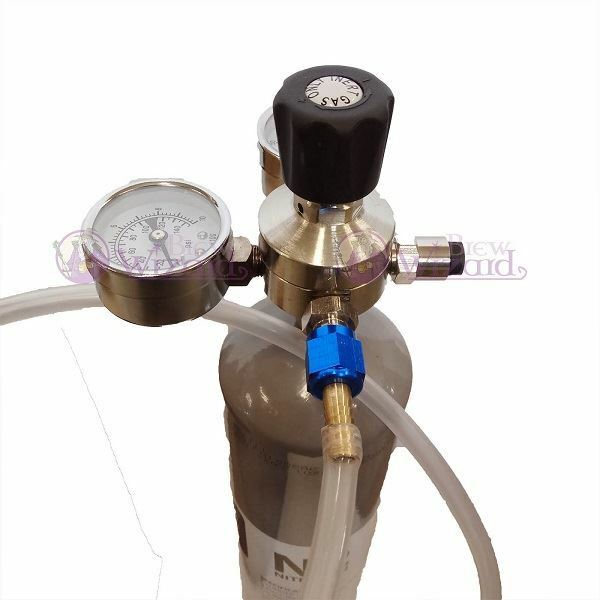 The kit contain a 1.4L N2 gas cylinder, a special regulator for Nitrogen and disconnector for ball lock keg. 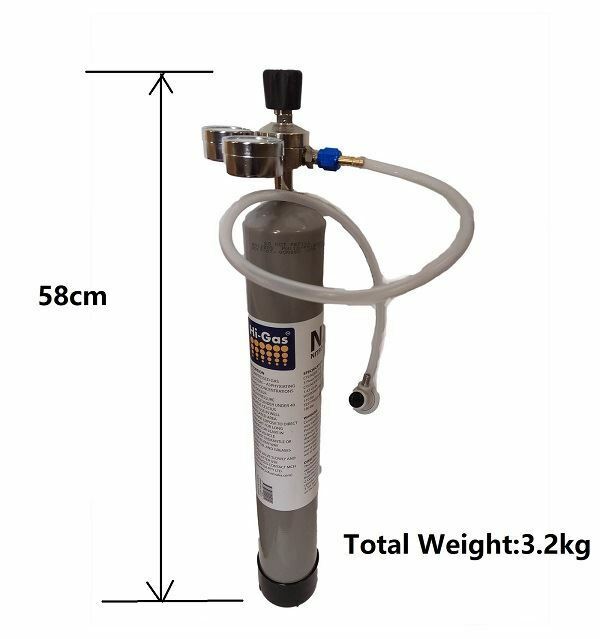 The compressed nitrogen has 157 liter equivalent volume gas under normal temperature and pressure. High capacity, equal to 157L N2 under normal temperature and pressure.